The box mentions a BAXS shooting system, but the gun does not have that feature. The metal mag holds 23 steel BBs. 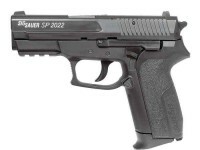 If you like to use airguns to maintain firearm proficiency, this SIG Sauer SP2022 replica CO pistol will help you do that. 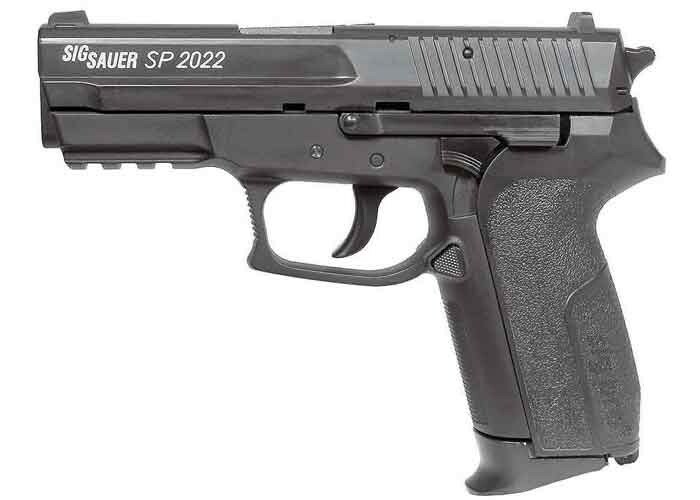 Things I liked: Weapon is very close facsimile to actual SP2022, great for hold, carry, and aim practice. Things I would have changed: Trigger pull seems harsh at times, first magazine trigger would not function after 10 rds, had to remove mag, reinsert and fire again. It would be nice if trigger had similar pull and feel of actual weapon as it would be more practical for "trigger control" exercises. Things I liked: Love it. good shooter and accurate. Recommend. Does pyramydair. Com have a universal mount for this pistol?